I spent a week in London recently. It’s always interesting to go back to a city after an absence of 18 months and see what’s changed. 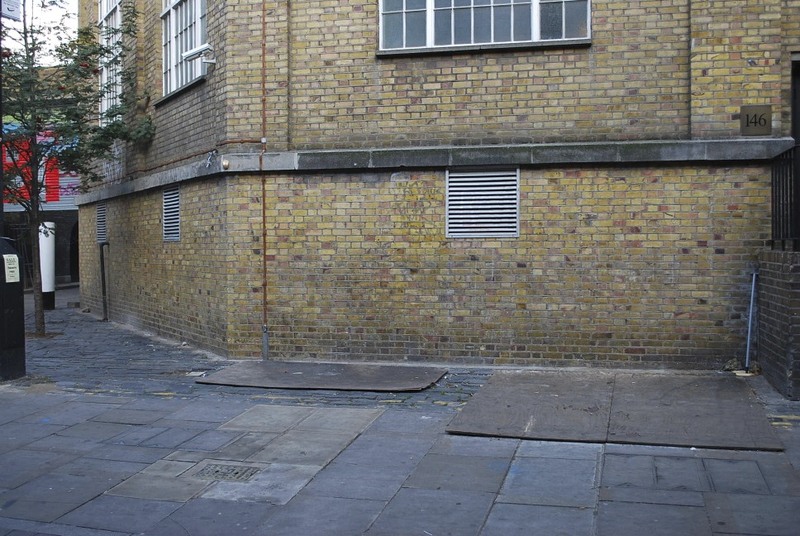 Usually it’s a matter of noticing which artworks have gone and which new ones are taking their place, but on this occasion I was struck by how much the area of Shoreditch itself had changed. Yes, there was still a lot of interesting art to see scattered through the streets, but whereas in July 2008 there were artworks around every corner, in May 2010 it would seem that the gentrification of Shoreditch has proceeded to the extent where entire streets have been so buffed that there is sometimes not even a sticker to be seen. I don’t want to give the impression that things had already become bland – far from it. 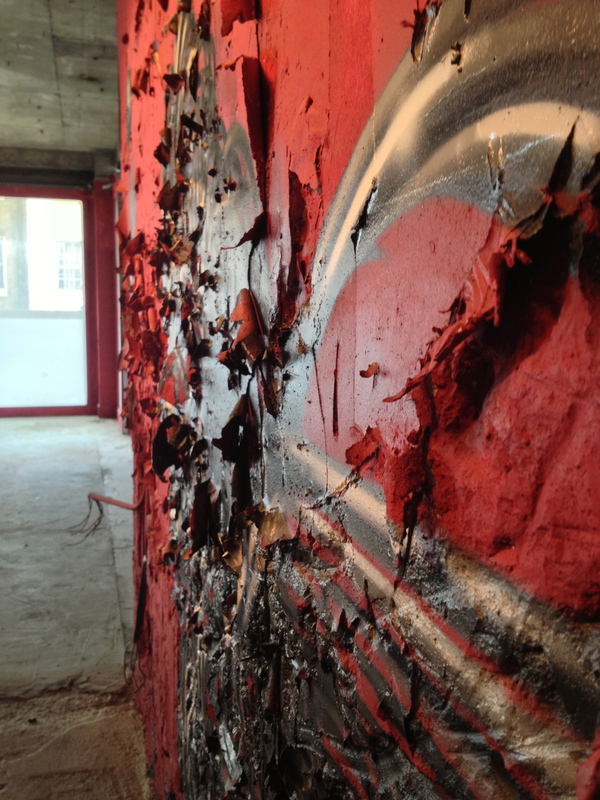 One of the striking things about this visit was seeing how lots of artists are producing works in which texture is a significant part of the visual experience: objects attached to walls, clever use of shapes and calls, a range of media, and extension of technique with paint. 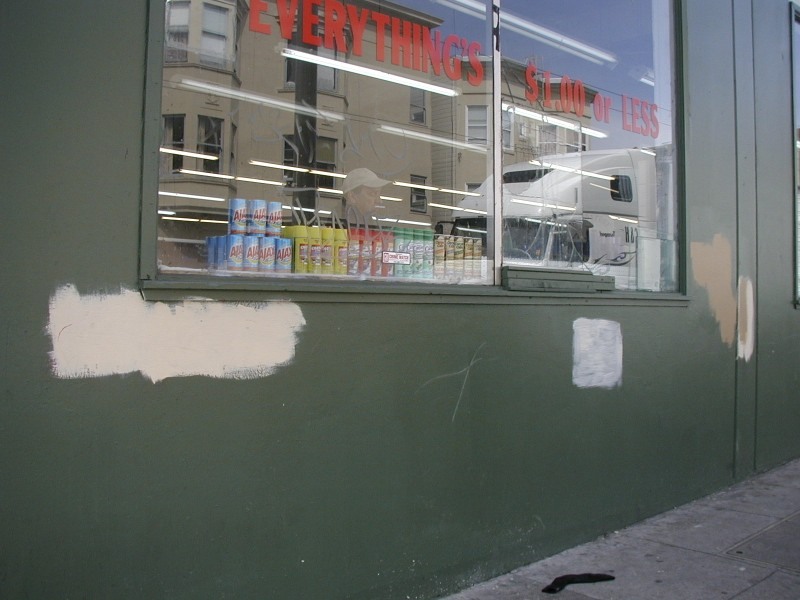 I know this is hardly big news, and I’m not meaning to pretend there has been any sudden shift in contemporary street art so that it’s suddenly all about texture or anything. Maybe it’s simply something that I was alert to, during this visit. 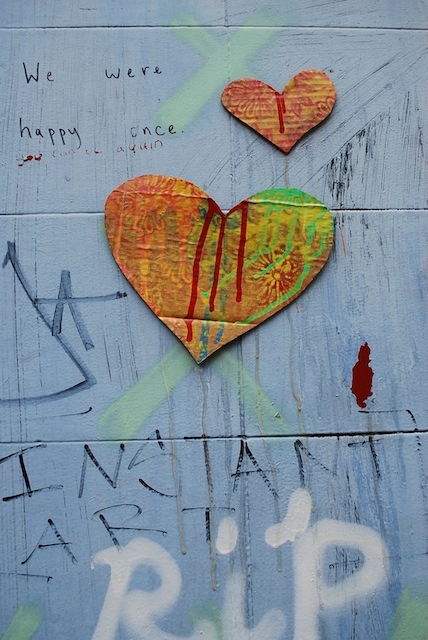 Certainly some of the artworks I photographed are not necessarily ‘new’; some, in fact, have been up for a long time. But the overall effect for me was to bring out, in a very active way, the feeling of the city as existing in its textures and sensations – the material ‘things’ which make up everyday, urban life. I’ve included a selection – see what you think. And here is one of my favourite street corners in London, and at the moment it contains a great selection of work, all placed high up, so that even the enthusiastic council cleaning crews can’t be bothered to remove them. This piece by Asbestos has been there for a couple of years now, and you can see another of the sculptures I just mentioned. There is also a little row of figures, now broken down to their torsos. 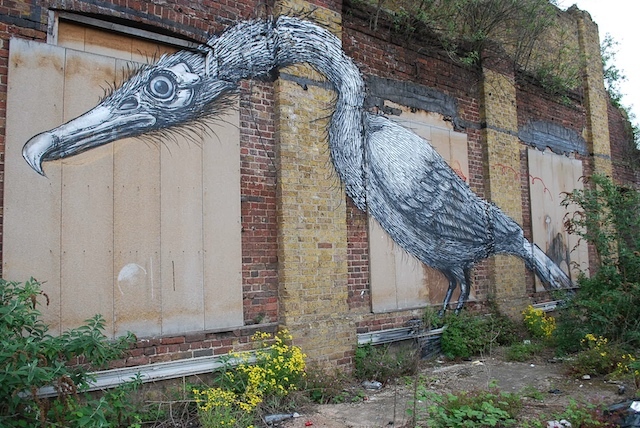 You can find these on various London walls – I would love to know whose work this is. 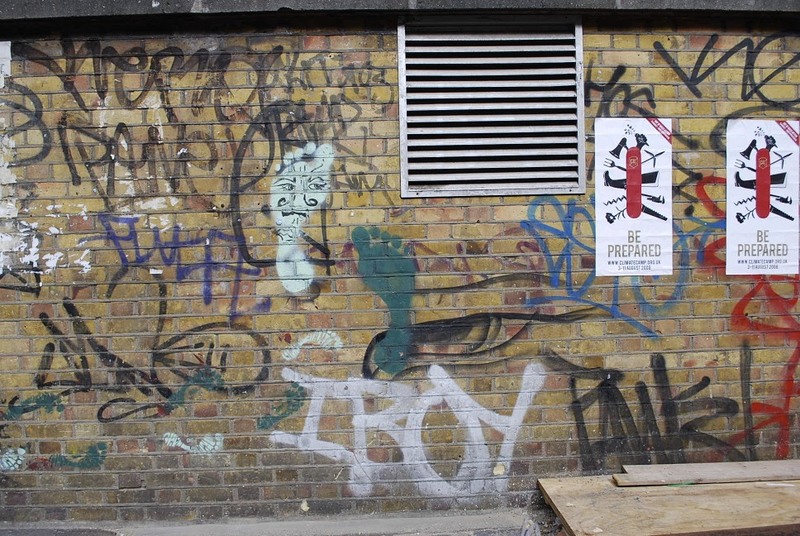 On Rivington Street, opposite the entrance to Cargo and Black Rat Projects, there is a wall that has previously featured many paste-ups, stickers and so on. It’s pretty buffed at present, but it does have these two excellent additions. 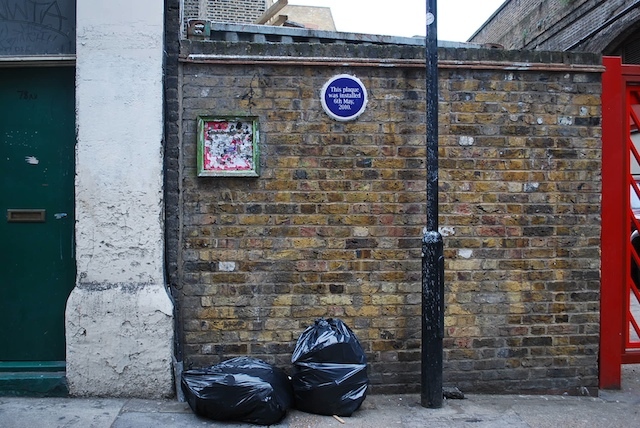 One is a blue plaque, which reads: ‘This plaque was installed 6th May 2010’. The plaque mimics the historical marker plaques that provide information like ‘In 1856, so-and-so lived here for 2 months’, but it does so with a twist: the plaque commemorates the fact of its installation, rather than any particular event. Although it’s possible to read the plaque as having something to do with the election, the artwork is not about that as such (and it’s pleasing that the 6th of May was the day of the British general election which has subsequently acquired historical significance as the first election in Britain to result in a coalition government, but this certainly wasn’t known when the plaque was installed). Apparent detritus becomes art, in a work which is all about showcasing the feel and texture of things that would normally be overlooked and thrown away. And take a close look at the precision and delicacy of these ‘brushstrokes’: wonderful work. 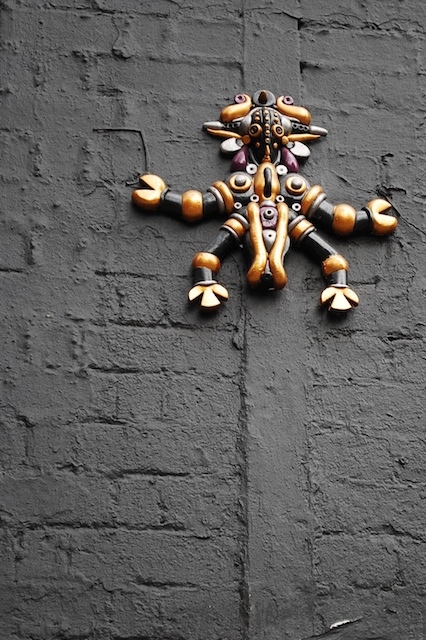 *Thanks to Mark, from Hooked blog, for walking around Brick Lane with me…. I’ve been thinking a lot about superheroes lately. This might sound odd, but they seem to be in the cultural (and political) air at the moment. Superheroes have featured in recent shows by three artists: Anthony Lister, an artist from Brisbane who now lives and works in Brooklyn; D*Face, one of the mainstays of the London street art scene; and Meggs, based in Melbourne. All of them feature superhero figures in their work – and all of these superheroic figures are in some way twisted, or subverted, or undercut in the way they are depicted by the artists. Lister has had two shows recently, one at Elms Lesters in London (with WK Interact), and ‘This Won’t Change Anything’ at metro 5 gallery in Melbourne. I only got the briefest glimpse of the Melbourne show, but I think there are some really interesting things going on in his work right now. The figures in his works emerge out of the paint, alluded to rather than rendered in explicit detail.. Colours are sometimes thin, pale or insubstantial, almost gauzy. The combination of these inchoate figures and Lister’s ethereal brushstrokes creates a superhero who is rather less than heroic – a fleeting character rather than one with the definitive qualities of the hero. In D*Face’s current show ‘Apopcalypse’, at Black Rat Press in London, several works feature superheroes. In one, Batman is shown hanging by the neck from a noose; in another, part of Superman’s face has been replaced by a ghastly skull. These characters, usually associated with strength, invincibility and power, are in this show made problematic. Their presence seems less to do with ‘saving the world’ (as superheroes conventionally do) and more to do with (the evils of) capitalism. Many of the works in this show take a swipe at the institutions of capitalism (see for example ‘American Depress’, an ‘altered’, expanded replica of the Amex credit card). What then should we make of an image such as Batman hanged by the neck? Is he the victim of a corrupt system? Or is he a part of that corruption? The link between superheroes and capitalism does not, in these strange times, seem at all strained: merchant bankers have previously shown, in their uncritical adoption of Tom Wolfe’s critical epithet ‘masters of the universe’, that they are not averse to viewing themselves as all-powerful superheroes. And I write this entry on a day when I read in the London newspapers that the British Prime Minister, Gordon Brown, is being described as ‘a superhero’ by European financiers for his bailout of the banks. Perhaps the current global financial crisis gives D*Face’s critique of capitalist superheroes an unexpectedly topical edge. in Meggs’ recent work, the ‘Own Worst Enemy’ show at Dont Come gallery in Melbourne and which can be seen here, there’s no critique of capitalism, but it’s possible to read the works as a critique of powerful masculinity. The images draw heavily on comics and their rendition of the superhero, but rather than depicting singular characters (a ‘Batman’, a ‘Phantom’ and so on), these works feature a figure who is an uncomfortable hybrid of several superheroes. His costume sometimes shows the pointed ears of Batman, sometimes the purple colours of the Phantom, sometimes a winged helmet, sometimes the features of He-Man, and so on. In looking at the figures we recognize each of these as markers of the various superheroes, and thus subscribe to the idea that by means of such markers we can identify them – only to find that the figures resist easy identification, always presenting themselves as uncertain amalgamations and alternatives. And ‘uncertain’ is a key word here. The figure embodies uncertainty. In a number of images his face grimaces in pain or distress; in others, he cowers away from an unseen threat or attacker. In one series (‘Don’t Know, Don’t Care’), he turns his head away, eyes closed, saying, ‘Don’t…’. The depiction of a superhero in postures of distress, uncertainty, powerlessness or injury radically undercuts the standard associations we have for such figures, converting them from figurs of salvation and rescue, into characters who may need rescue themselves. Which means that, adapting the classic question ‘who guards the guards’, we should ask, ‘who is there to save a saviour?’. When ‘white knights’ and superheroes are incomplete, corruptible, or vulnerable, it may well be time to reconsider our cultural and political assumption that there will always be someone to rescue us. 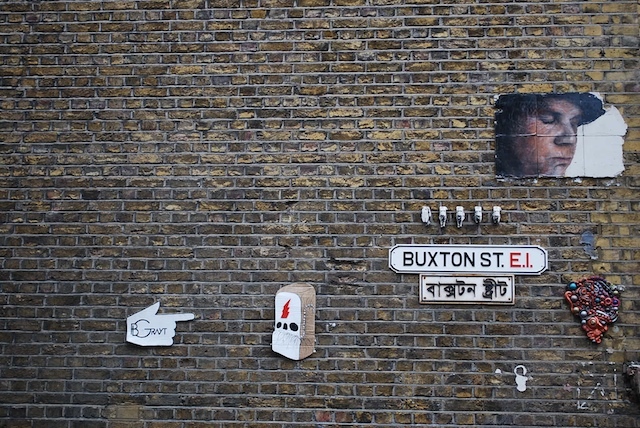 I’m in London right now, and yesterday I went to Shoreditch, to meet with a gallerist. The area is filled with street art, so, after the meeting I went walking, to see what was on the walls. I had spent a day doing this when I was visiting in July, and had come across some fantastic images. I thought I would revisit one of these, a work by the French artist C215. It’s the image I used to accompany the very first post on this blog (see ‘inaugurations’). 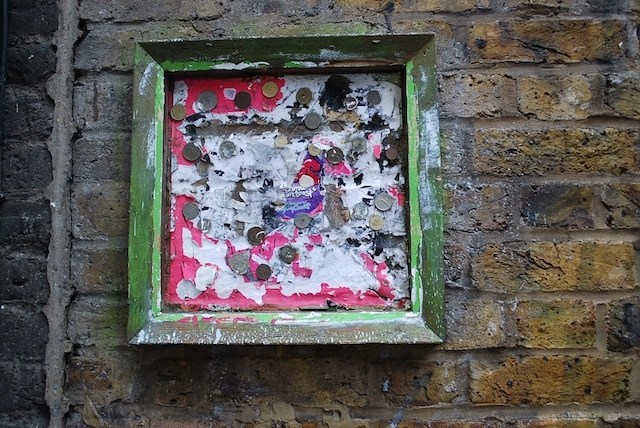 It was a diptych, portraits of two children, each one filling a small tiled panel low down on the outside of a pub. I had come across it by accident, in the way that sometimes happens, and which makes the artwork really feel like a gift. The pub was on Leonard Street, and a tiny side street connected Leonard Street to Willow Street. 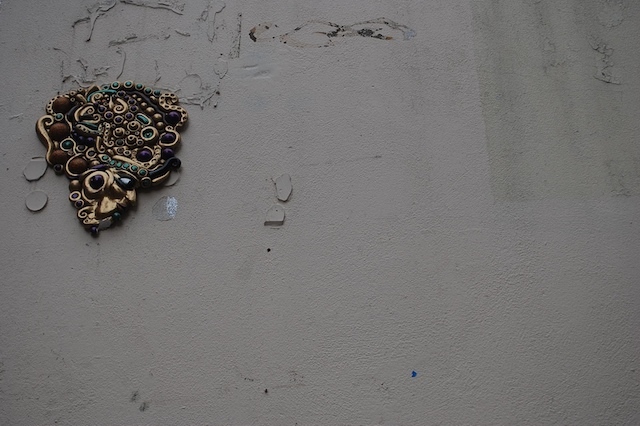 Walking down this side street, I had suddenly seen this image, quietly and perfectly placed close to the ground. Yesterday, I walked purposefully to find it, almost as if I wanted to say hello to an old friend. But it was gone. 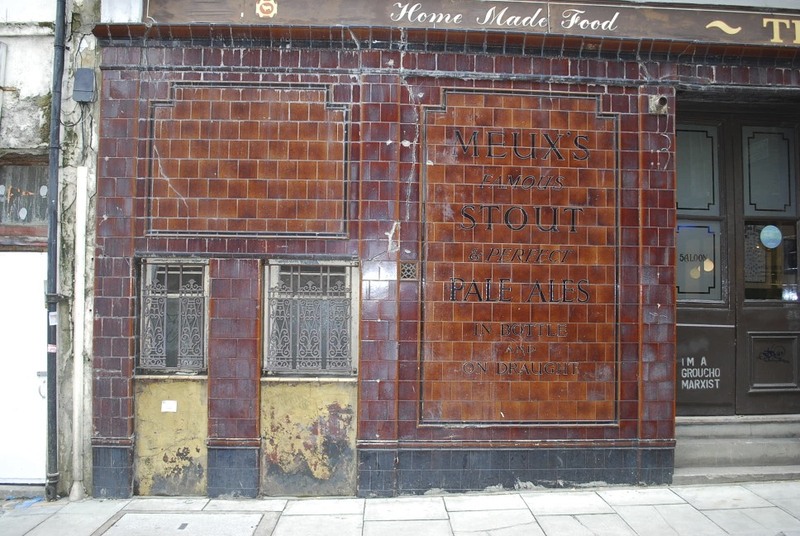 The tiled panels had been buffed – whether by the council or by the pub’s owners, I don’t know. It’s hard to describe the feeling of loss I experienced in seeing it had gone. It was much more than a momentary flicker of disappointment, much more than any sense of annoyance at my objective being thwarted by circumstances. I actually felt quite disoriented by its absence – I found myself looking around, as though to check whether the image might have migrated somewhere else nearby. I felt really, deeply, saddened by its disappearance, and it’s a feeling that resurfaces now, when I think about those blank panels. Maybe it’s because when I came across it back in July it had that fantastic sense of being a gift from the artist to the passerby, to the spectator – to the city. Images appear and images disappear. Their disappearance says something about time, and its passing. 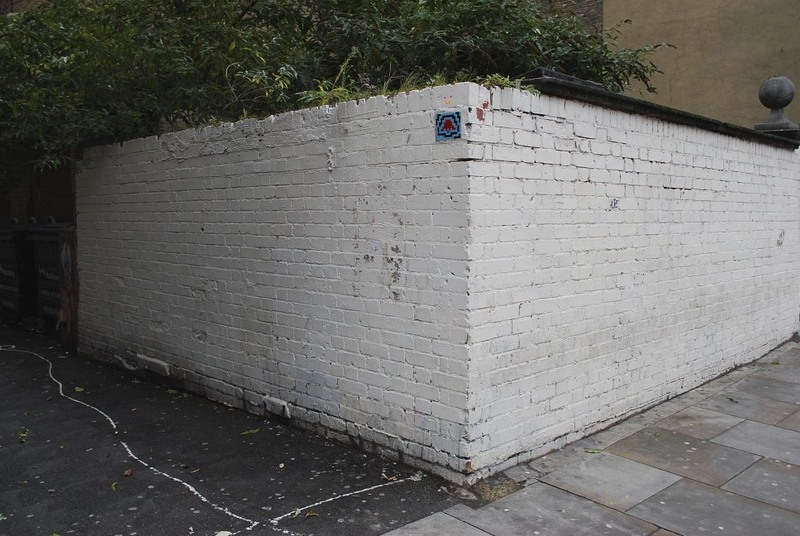 The way we respond to the loss of an image on a wall says something about how we see street art itself – do we celebrate the empty space, as the opponents of graffiti and street art do? Do we plan the next image for that empty space, as an artist might do? Do we mourn the loss of an image? 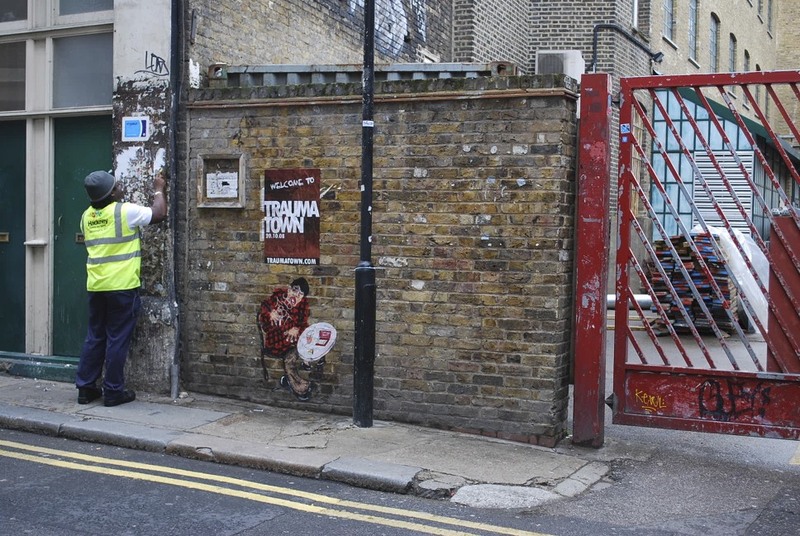 In late May this year, artists from a range of different countries (Australia, the US, Holland, France, Portugal and more) were flown to London to take part in creating the Cans Festival, a massive exhibition of stencil art. 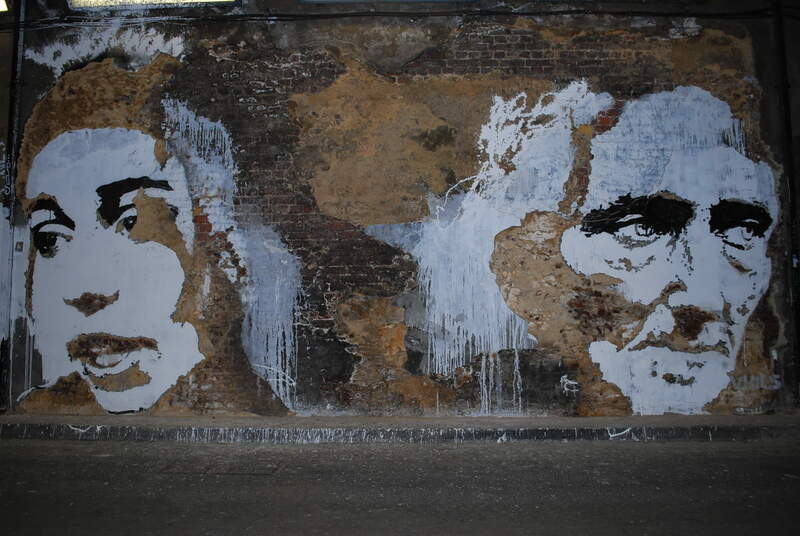 The location was a disused tunnel in Leake Street, near Waterloo Station. 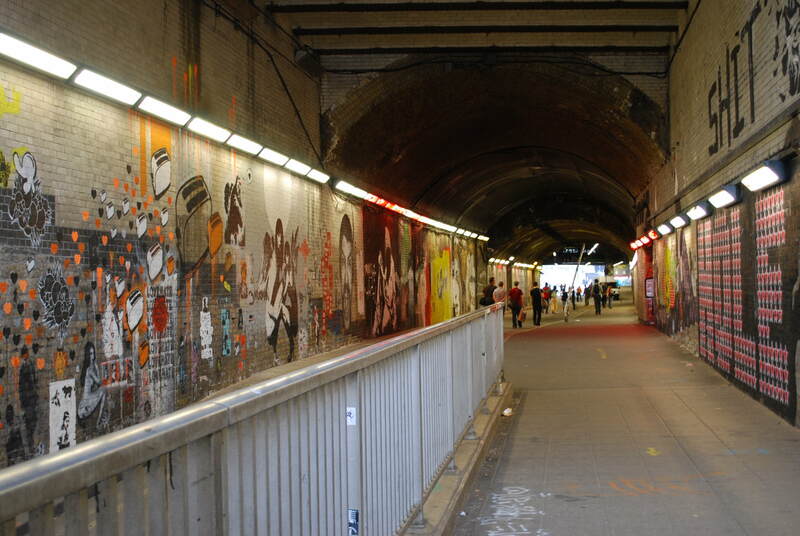 This tunnel had had its fair share of graffiti applied to it in the past, but the Cans Festival turned it into a unprecedented display of street art. When I visited London in July, things had quietened down at the site. There were still people visiting (around 20 people when I was there), but it was possible to take photographs without other people in the shot, and to stand back and look at the sheer scale of the place and the display (the tunnel is a couple of hundred metres long, and its curved walls around 10 metres high). 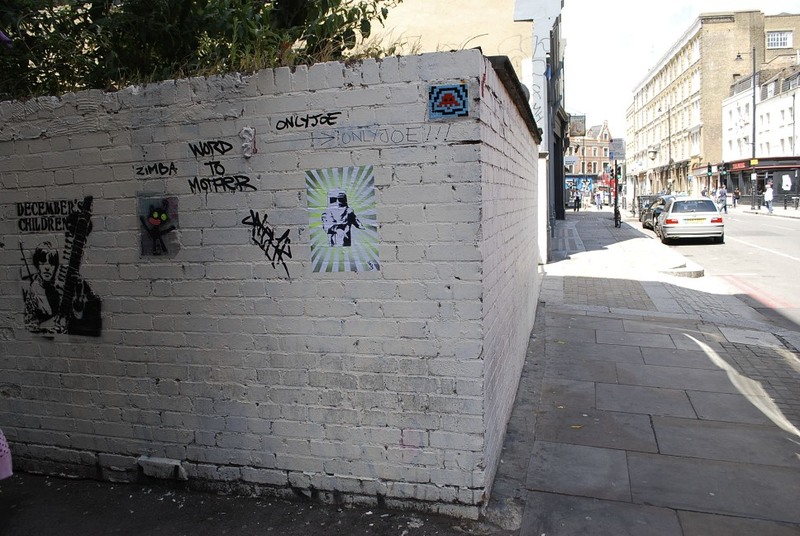 The ‘official’ artworks – by artists such as Vexta, Tom Civil and DLux (all from Australia), Vhils (Portugal), C215, Blek Le Rat and Jef Aerosol (France), Lex-Sten (Italy), Kaagman (Holland), Logan Hicks and Faile (the US), Pure Evil, Eine and Banksy (the UK) – were now surrounded by unofficial additions. 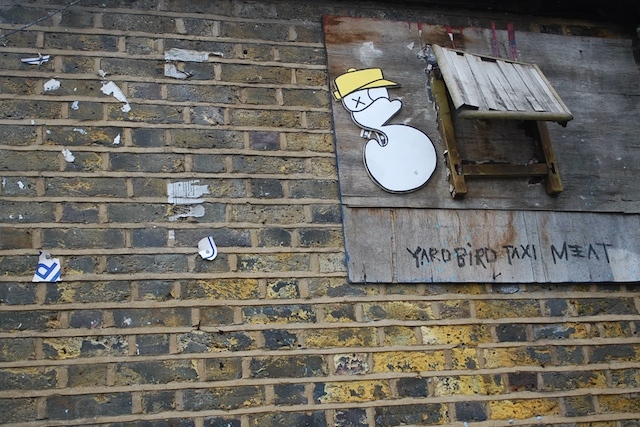 Sometimes people had stencilled an image, sometimes they had tagged over other people’s work. The tunnel was crammed with images: railings and posts had been sprayed, as had the ground: someone had sprayed a stencil version of a scalectrix racing track, complete with cars, through the tunnel. For a sense of its scale, try to imagine that I (who stand 1.78m tall) would reach eye level on these faces. And there were dozens of these amazing images: a fantastic work by Eine, a huge and delicate paste-up by Faile, several of C215’s faces, some glittering figures by Pure Evil. 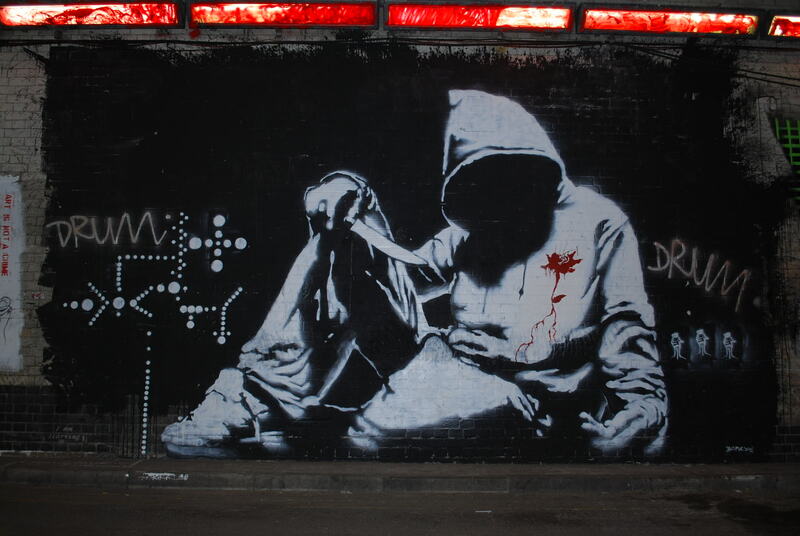 Of the several Banksys in the Festival, my favourite was a massive image of a hoodie-wearing, knife-holding, bleeding boy. The scale of this work is huge, and yet it is extremely detailed, showing Banksy’s skill as an artist (often forgotten in the brou-ha-ha that always follows his various stunts). In the neatest of copperplate script to the left of this boy’s sneaker, it reads, ‘I am starving’. Many dismiss Banksy’s penchant for a catchphrase as glib, but I found that this work had a certain resonance, in a city where the homeless and hungry are present on many street corners. 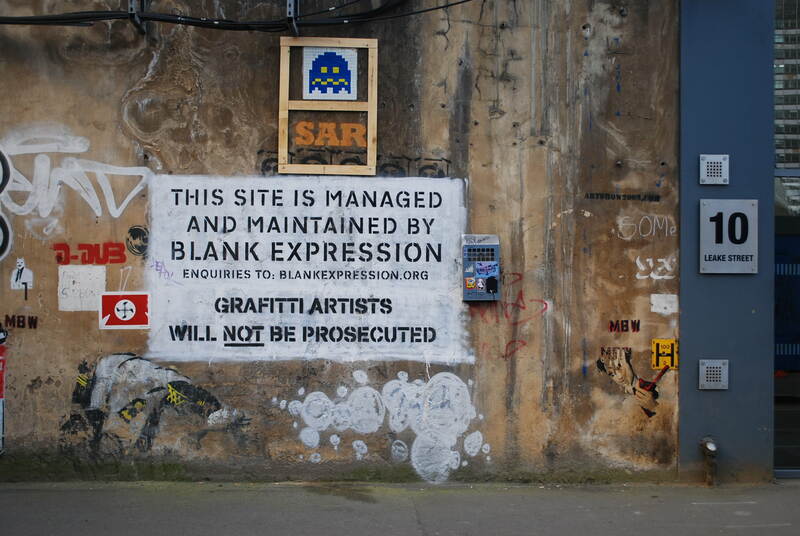 Too hard to do justice to Banksy’s work in this post: watch this space for further discussion of his work. To see all these works in one place – and in the street, not in a gallery – I walked up and down, photographing, photographing, unable to stop smiling. My daughter, who is 6, said: ‘mama, I’ve never seen so much graffiti in one place’, and it was very true. I love this. 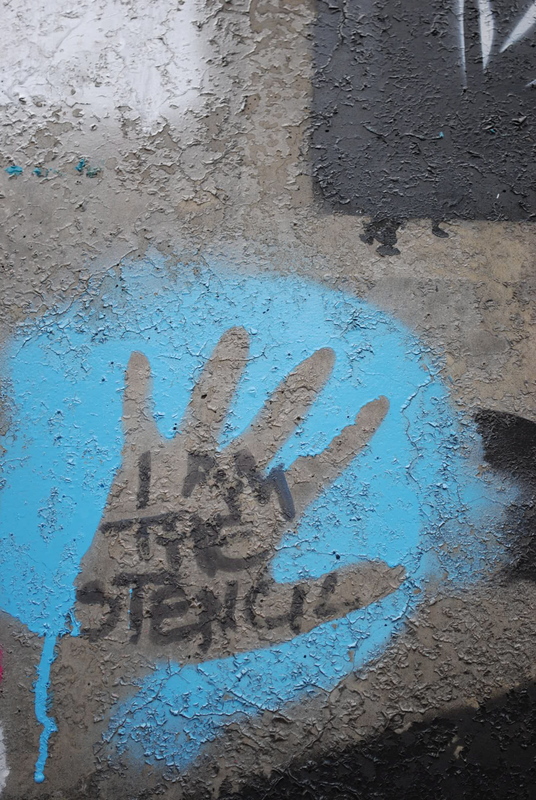 I like to imagine that the artist perhaps didn’t have any stencils with them when visiting and simply borrowed a spraycan from someone, in order to spray around their hand. And who, you may ask, made all of this possible? Banksy. Not just through his popularising of street art, but far more directly in that he paid the airfares of the visiting artists and covered the costs of the event, which many estimate to be a cool half a million pounds. 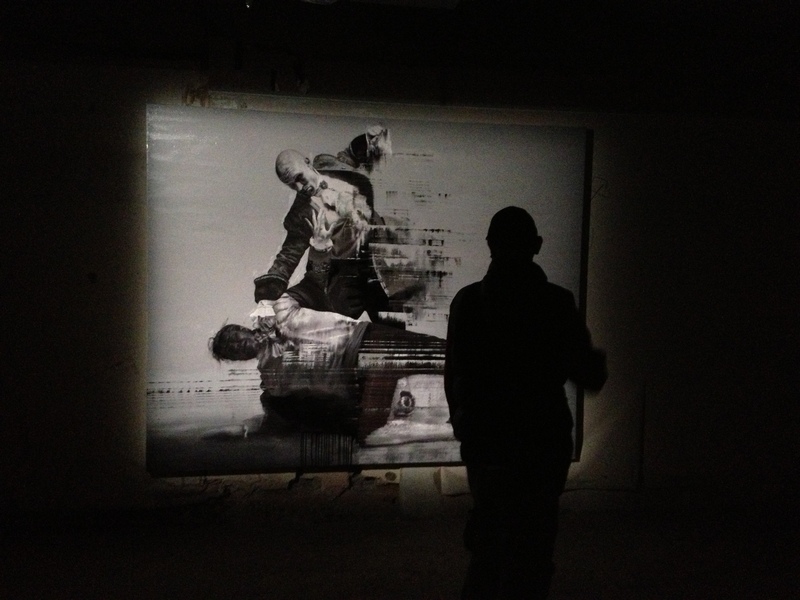 Perhaps reading about the Cans Festival might make you want to go and see it for yourself? Well, yes, you should go and see it, but in fact all of the works I’m writing about no longer exist. 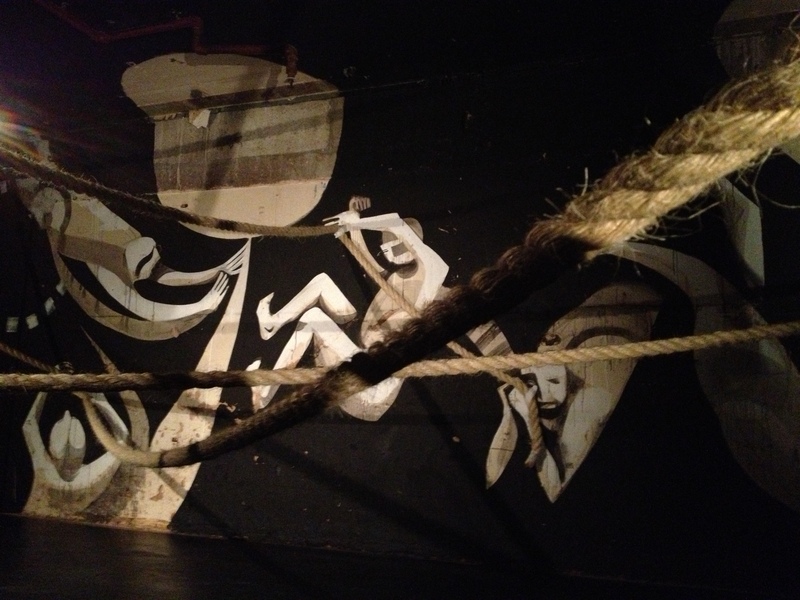 That’s right: last weekend a whole new crew of artists were brought in and the tunnel has been entirely repainted. Take a look at the official website here for details of the artists involved. 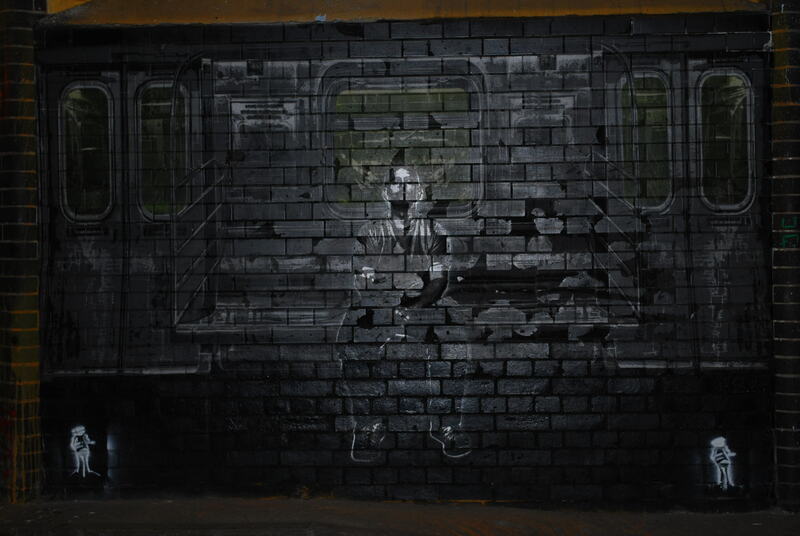 Cans Festival Mark 2 ! How long will the work be there? I don’t know, but I really hope it will still be there when I visit London again in October. But if it’s not – well, contrary to those who seek to preserve street artworks by putting plexiglass over them (as has been done with Banksys in London and in Melbourne), ephemerality is part of the nature of street art. I’m writing this at a moment of great anticipation. 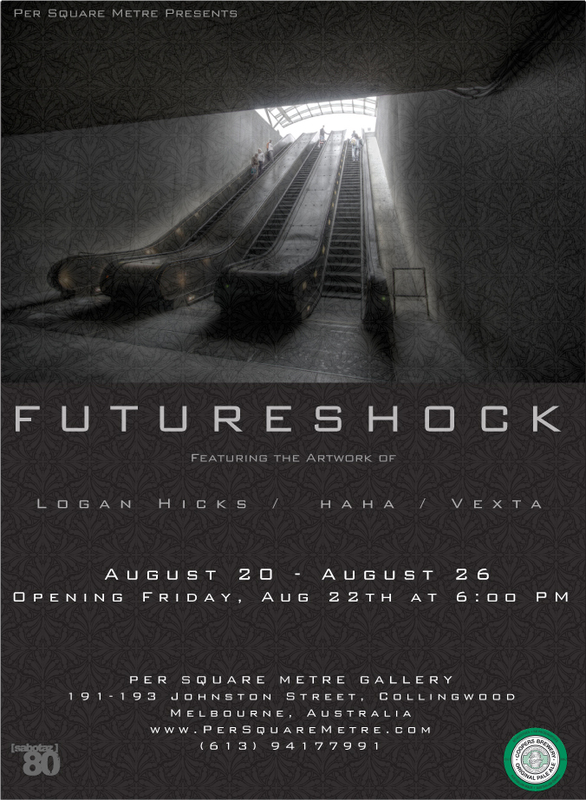 Next week, an exhibition will open in Melbourne: Futureshock (Part 1), at the Per Square Metre Gallery in Johnston Street, Collingwood. Three artists are exhibiting: Ha Ha, who is something of a Melbourne institution these days (a prolific, highly respected, incredibly influential, and extremely ethical street artist); Vex Ta, a Melbourne artist who is on a trajectory of international stardom and is recently returned from the Cans Festival in London, where she painted alongside some of the best known street artist in the world right now; and Logan Hicks. Logan Hicks is an American artist who has lived overseas but is now based in Brooklyn. And – what can I say – I am a fan of his work. I had looked at the online images of his work, and had admired what I had seen, but recently I had the chance to stand in the same room as 16 of his works, and that was a stunning experience. When I was in London in July, a gallery called Black Rat Press was showing his work. 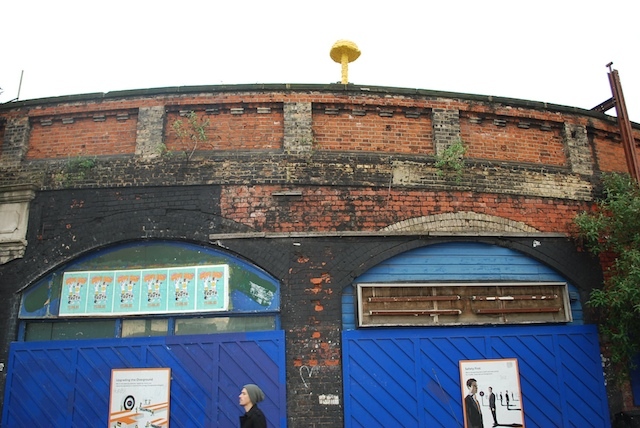 The gallery space at Black Rat Press is located in a converted tunnel, so that instead of the standard ‘white cube’ there is a curved arc of exposed brick. The works were hung around this curved, vaguely subterranean room, and the mottled red brick provided a fitting backdrop to them. Logan Hicks’s images tend to be of urban scenes: tired commuters on the New York subway, gazing into the near distance; a deserted stoop in front of a decaying building; the escalator that descends into a train station; the facade of a building. These images are rendered by means of extremely detailed stencil-making. 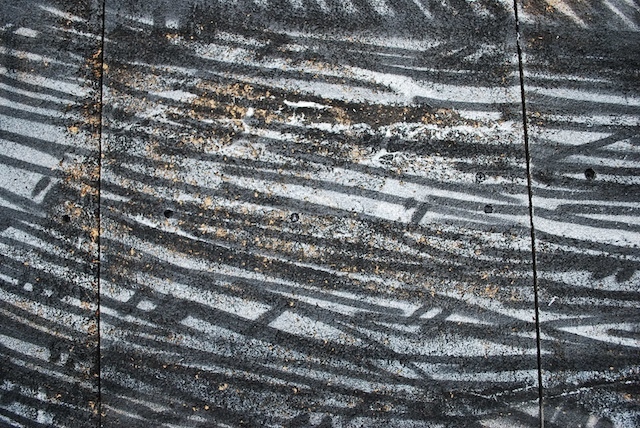 Hicks appears to cut his intricate shapes with ease: the images appear directly painted rather than transferred through the indirection of a stencil. His colour palette is sombre – greys, black, more grey. But these monochromal repetitions are counterposed in some of his works to a sudden, astonishingly bright, primary colour. In one image, the sky is red; in another, a window appears golden yellow. The effect, for me, is enormously pleasing: even now, several weeks after seeing them, the works hover in my memory. While Peter and Sophie were outside, I chatted to the gallery staff member who was present. He said the opening night had gone well, and pointed to several red dots next to various works. ‘Wait a minute’, he said, ‘You should see the works like this…’, and he switched off the main gallery lights. In their place a number of small track lights pointed at the images. 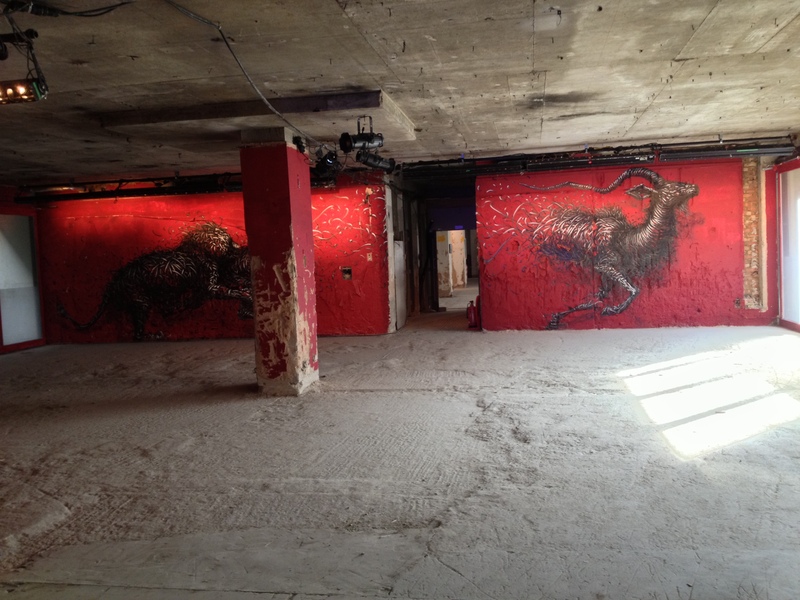 The metallic lustre of the paint emerged; the images seemed even more to fade into the brickwork. 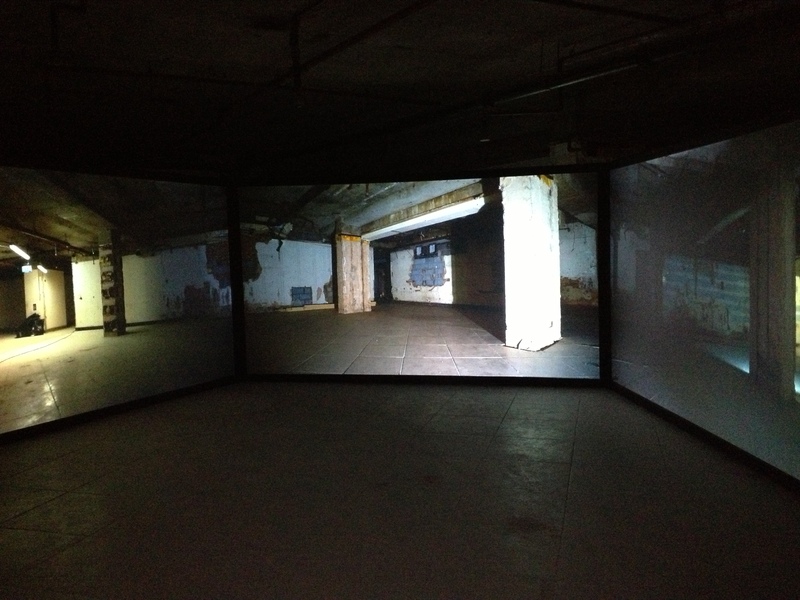 For a moment, gallery became street: image on brick, artificial light turned almost into the gloom of a tunnel. Logan Hicks’s works seem poised at that delicate moment between appearing and disappearing. I felt this acutely when I saw his contribution to the Cans Festival, Banksy’s paintfest in a disused tunnel called Leake Street, near Waterloo Station in London. 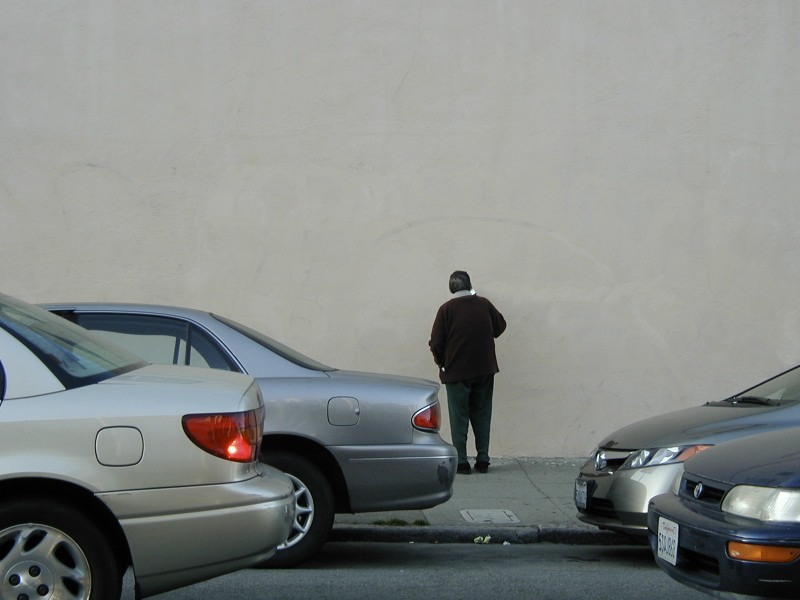 Hicks was one of the artists invited to participate, and he painted two large works on the brickwork of the walls, in one of the dimmest corners of the tunnel. One is an image of Union Square subway station; another shows a solitary man on a subway train. Both works evoke the city as almost uncannily unpopulated, yet crowded with the machinery of modernity. Both are peaceful yet disquieting images. 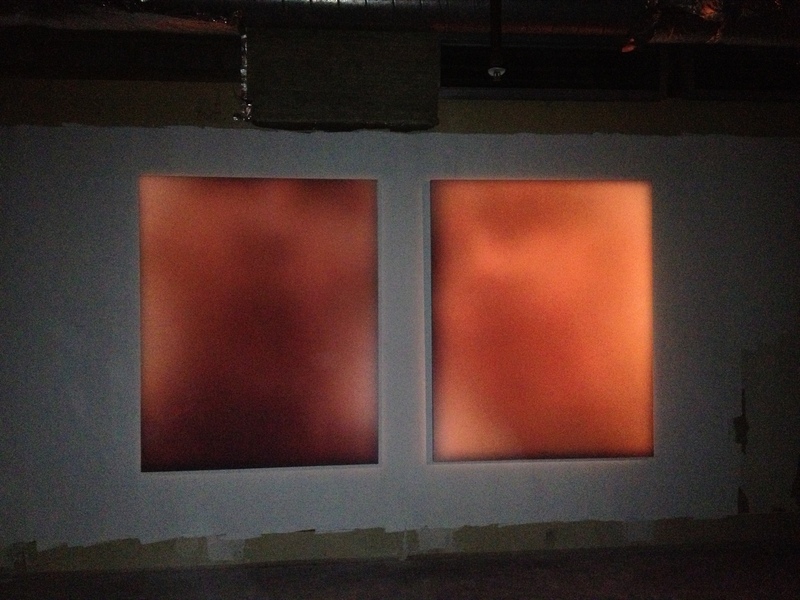 Both sink into the walls, yet insinuate their images outwards toward the spectator. Where so much of street art is about getting noticed, Hicks’s work seems almost to be receding away from the viewer. Is it this that captivates me so much?